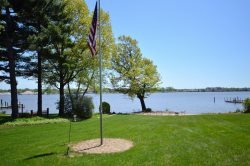 Great Spring Lake Vacation Rental within Walking Distance to Beach! This beautiful Spring Lake home is the perfect location for your vacation destination. Only 200 yards away you will find public beach access at Spring Lake and Grand Haven State Park is just a quick four mile drive. If you're bringing your boat, you can find a public boat launch at Petty's Bayou. Don't forget your kayak, the launch at Parkhurst Walk is just steps away. There is also a fire pit to gather your family around in the evening. This vacation home is just minutes away from all of your favorite "things to do!" 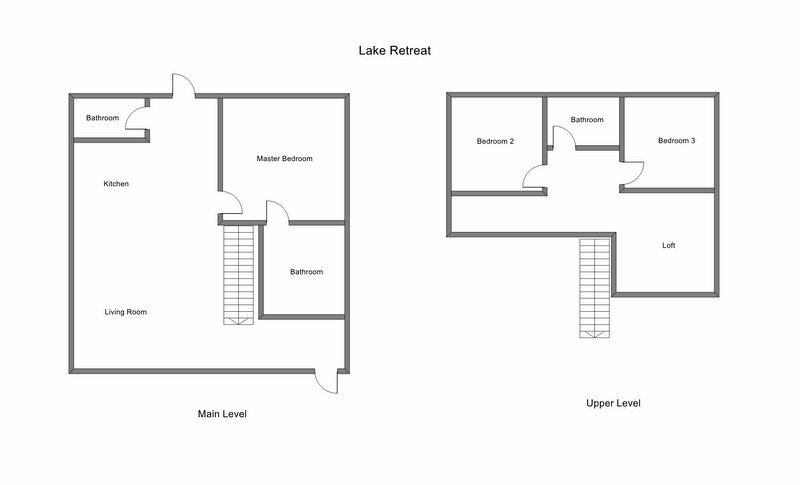 This three bedroom, two and a half bath home comfortably sleeps ten people with a queen bed in the master bedroom while the second bedroom has a set of two bunk beds. You'll find a good nights sleep in a double bed in bedroom three leaving the upper level loft which has a twin bed with a twin trundle. Dinner will be a breeze on the gas grill after a long day at the beach. Don't forget to challenge the family to a game of ping pong in the garage! Grand Haven is located on the shores of Lake Michigan. We are a quaint, little beach town recently named the "Happiest Seaside Town in America," by Coastal Living Magazine. Here, your family will find Grand Haven State Park, which was voted in the Top 10 Best Beaches in the world by Travel+Leisure Magazine. The boardwalk stretches one and a half miles, beginning at Chinook Pier and ending at the iconic red lighthouse. Historic, affordable, and amusing, the trolley is continually traveling throughout the waterfront and downtown areas dropping you off at any desired location. This property is located in the Village of Spring Lake where there is a great bike path that runs through town that will take you to enjoy a few of the downtown stores and hometown restaurants. At the end of the day, grab a blanket to sit on and head to the Waterfront Stadium where the whole family can enjoy the Musical Fountain. This synchronized lights, water, and music show has coined the title "World's Largest." This free show plays nightly at dusk throughout the summer. Lucky for you, all of this is just minutes away and waiting for you to revel in. Excellent service from Lake Michigan Cottages staff. Overall very nice, comfortable home. Good value. We would definitely come back! This house was perfect for our stay. It was very clean and had everything we needed. Great location near the water. We definitely would come back. Everyone loved the house. It is a beautiful house. My husband is 89 he got around great .he loved the front porch. As well as the back deck... The grandkids even had a bonfire. Couldn't ask for a nicer place to stay. Thanks for a great experience. Very helpful staff. They were efficient and threw us a life raft when we thought we were lost. We booked later in the year and most properties were taken. But then, we ended up with the best house for us! I hate to say anything negative after such a wonderful experience but it would be helpful to make sure there is enough toilet paper in the bathrooms before the guests arrive. With that said, please know we were absolutely thrilled with the house, the deck, the beautiful yard and we even had a ping pong table! We are planning another trip next year and our first stop will be Lake Michigan Cottages. The vacation home we rented was perfect for our double family vacation! The cottage was super cute: new and fresh looking, complete with everything we needed mad more to make our vacation spectacular. We cooked most of our meals at home because of the fully stocked kitchen. We also utilized he grill quite a bit, which was a huge help. Bedrooms for everyone, the basement served as a the perfect rec room for the kids, games provided were enjoyed by all! The location to the small beach couldn't have been more perfect for our family with young children ranging in age from 4-7. We were also able to walk to several convenience shops, restaurants, ice cream stores, and even a wonderful playground and public park facility. The short drive from Spring Lake to Grand Haven was a breeze and allowed us a chance to explore the town. Loved this property and all it had to offer.